National Museum Singapore Dome is most hilarious 3d street art designed by Joe Hill. This historic dome made up of three thousand stained glass panels and zinc fish-scaled tiles. 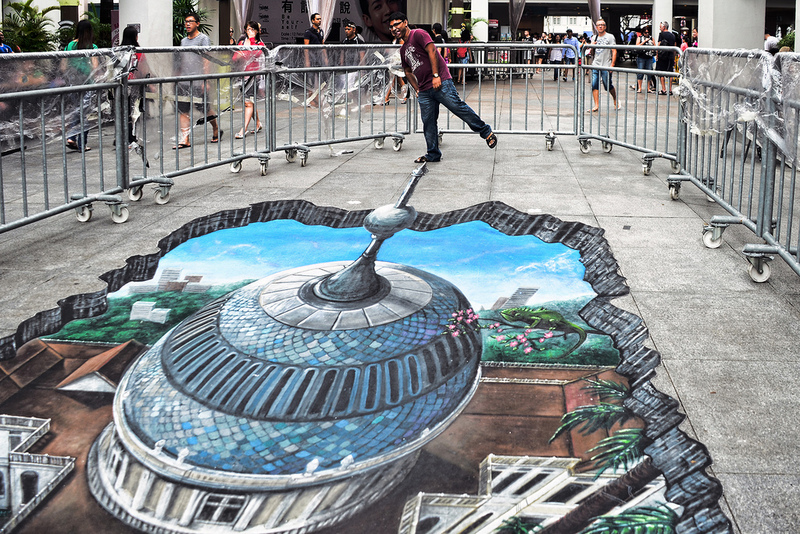 Artist creates the side top view of dome with surrounding atmosphere on the street give natural look. Top tip of dome is look to be held in the air but actually it is merged in the street. Hence man stands on the ground appears to be stand at top of dome.